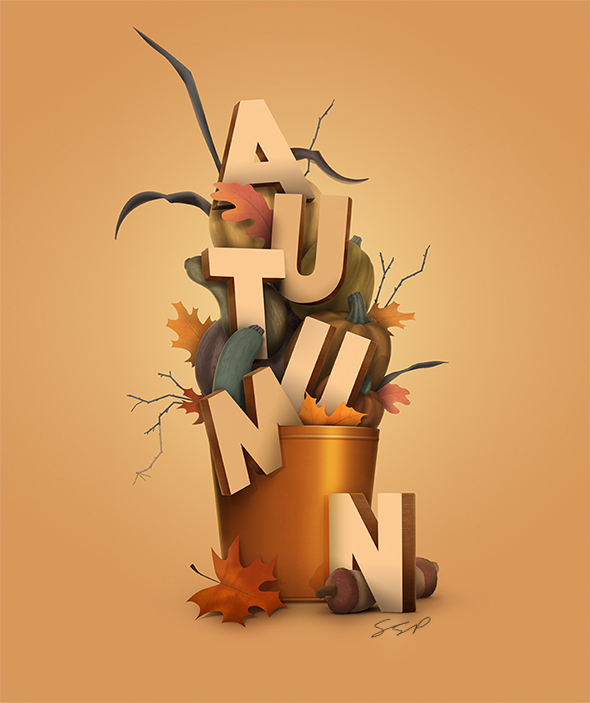 Today, I want to share with you the process I used to create my Autumn Typography piece. This project is over 500 MB, took over 14 hours to complete (mainly experimenting with different techniques), and contains over 400 individual layers. The final result can be seen in the image below. This entry was posted in Behind The Scenes, Tutorials and tagged Autumn, Fall, Tutorial, Typography. Bookmark the permalink.